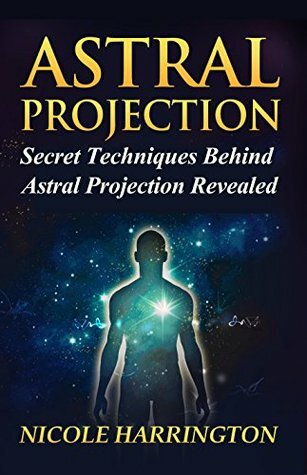 Today I'm reviewing the book Astral Projection: Secret Techniques Behind Astral Projection Revealed by Nicole Harrington. At first this book seemed a little undersized: about 75 pages long, but you'll never guess what happened when I got halfway through it: It ended! That's right. About 32 pages into the book, it just abruptly ended. What filled the remaining pages? A second book called Procrastination by Warren R. Sullivan. That was a huge disappointment. It was not my only disappointment. The margins are big and the font is big, which means there's almost no content at all. There aren't any page numbers, so it's impossible to reference. No no no no no. That's wrong. In the OBE state, it's easy to stick your hand out and feel the texture of the walls (both inside and out! ), the textures of the bed and sheets, and anything else. Robert Monroe described OBEs in which he felt the floor below him. Frederick Aardema did OBE experiments completely based on the sense of touch. What "secret techniques" does she reveal? None, really. She talks about (1) visualization, vaguely. (2) Dreams conversion, vaguely. (3) Sounds frequency, vaguely, (4) Affirmations, vaguely, (5) Hypnosis, vaguely. Get the idea? She's really vague and lacking in detail. For "advanced techniques" she gives: (1) The Monroe Technique, which is described so poorly, it's completely unrecognizable, (2) Lucid Dreams Technique, which is vague, (3) Muldoon's Thirst Technique, which is very poorly described (and even bordering on dangerous; dehydration is a serious problem not to be toyed with), (4) The Rope Technique (of Robert Bruce), which is very poorly described. The whole idea of the Rope technique is to use tactile imagination (rather than visualization), and the sense of imaginary touch, but she doesn't say a word about that. There are no secret techniques revealed. It's all hype meant to sell the book. The few techniques she does give are described much better in other sources, most of which are available online for free. The writing was immature. I didn't spot any typos or misspellings, but the grammar was horrible. Either Harrington wrote it in high school, or English is not her first language. For a grammar Nazi like me, it was painful to read. It was very wordy; every sentence was twice as long as it needed to be. In his book On Writing, author Stephen King suggests you can (and should) cut at least 20 (or 25, I forget) percent of the words out of your initial draft without losing any meaning. Instead, this author's sentences are twice as long. There aren't even any OBE narratives to give it a feeling of credibility. I give this book a thumbs-down. It's not even worth considering. Thank you for your review Bob! You've saved me from another disappointing book! I guess these people are more like thieves and scam artist out to get our money. Did you get this from Amazon? If so, I believe they would take it back. I would also leave this review there warning people.